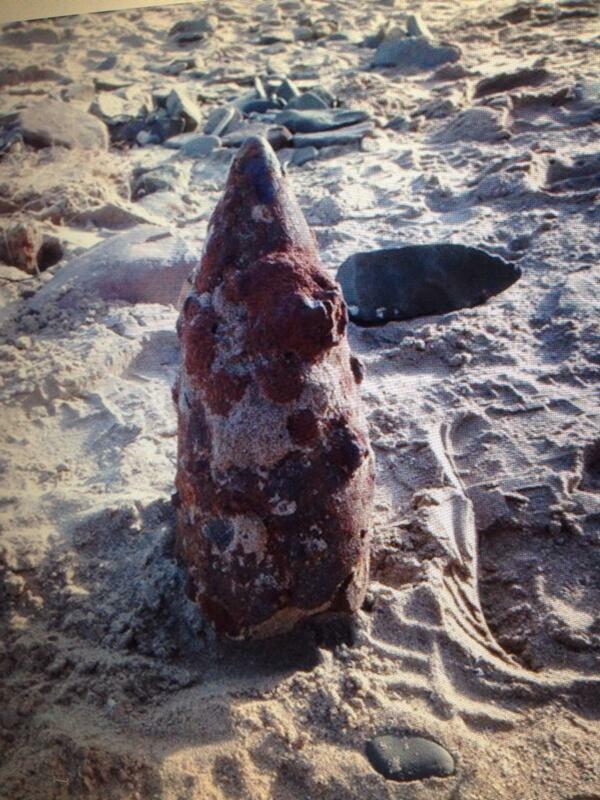 Devon and Cornwall Police warned the recent storms have caused a number of wartime explosives to wash up on British beaches. Officers advised members of the public not to approach any "suspicious device" and to call 999 immediately. 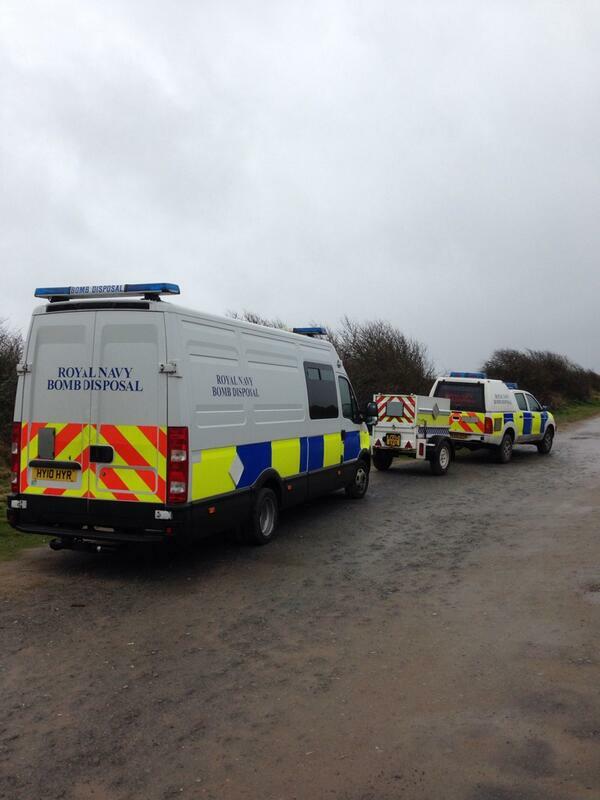 Police have launched 24-hour boat patrols to help residents and prevent crime on the flooded Somerset Levels. Two inflatable lifeboats have been provided by the RNLI, while 15 volunteers from the Welsh RNLI Flood Rescue Team have travelled to Somerset to provide help. 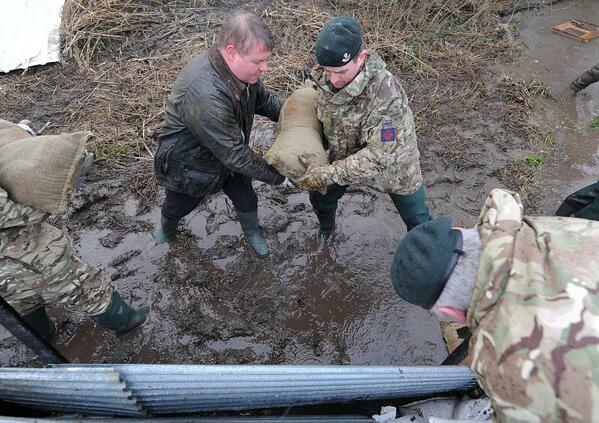 Armed Forces Minister Mark Francois said he was "proud" of the work done by soldiers helping a flood-hit community as they reinforce a dam protecting an electricity substation. 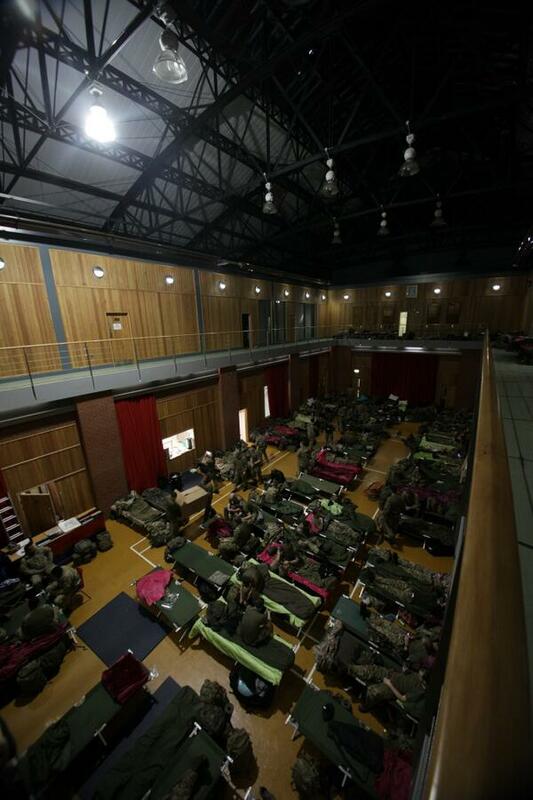 Around 20 troops from 7th Battalion The Rifles, known as 7 Rifles, were stacking up sandbags in submerged fields in Reading, Berkshire, where the River Kennet has burst its banks. The Environment Agency's flood risk manager said they had "used all of the resources we can to temporarily put in measures to protect places". Groups of offenders have been drafted in to help residents on the flooded Somerset Levels by filling hundreds of sandbags. The Probation Service is supervising the work, which is being carried out by offenders on Community Payback schemes. 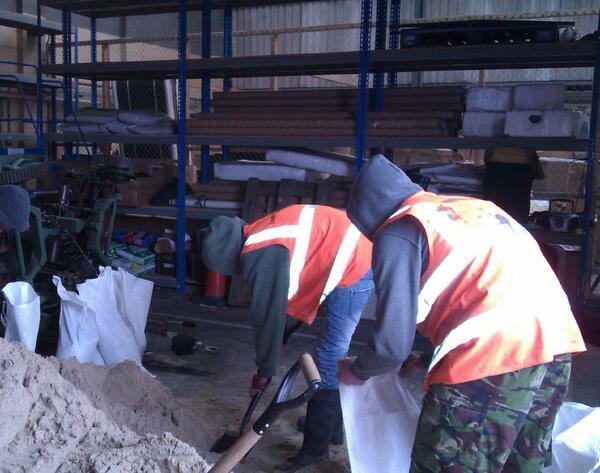 Seven offenders shifted 14 tonnes of sand and filled 600 bags on Saturday, while a group of five filled 750 today. "It is very hard work and everyone's doing a fantastic job," Community Payback team manager Denise Day said. Plans to axe jobs at the Environment Agency will be raised at fresh talks this week despite assurances from the Prime Minister that no jobs would be cut during the current flooding crisis, a trade union claims. The GMB said a meeting has been arranged for Thursday at which they believe a timetable will be discussed for pressing ahead with up to 1,700 redundancies. Last week the Environment Agency (EA) announced that any job cuts would be put on hold as it dealt with the effects of widespread flooding, a position reinforced by David Cameron as he visited areas affected by the bad weather. The GMB said it was clear the agency would press on with redundancies after the floods have receded, calling the plan "ludicrous". Network Rail says more damage caused to sea wall at #dawlish at the weekend. There are still 600 homes without power as of 2pm today following the recent storms, the Energy Networks Association told a news conference. Over one million customers have been re-connected so far, a spokesperson added.